Knightfall premiered on the HISTORY channel in December 2017 and recounts the history and myth of the Knights Templar. 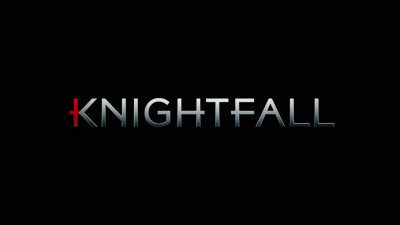 Knightfall stars Tom Cullen as the Templar leader, Landry, a veteran of the Crusades, looking for his mentor’s killer and the location of the Holy Grail. If you missed Season 1 you can watch it on Netflix now. Also joining Season 2 is Tom Forbes as Prince Louis, “the violent and unpredictable son of King Philip and heir to the throne” and Genevieve Gaunt as Isabella, the daughter of King Philip. Knightfall season 2 will air in 2019, no specific date yet. Historian and author, Dan Jones, serves as the historical consultant for the series.